Whether you’re feeling the mid-week slump or looking for a fancy meal for less bacon, Newstead’s Golden Pig has a perfect weekly special to get some seriously tasty pork on your fork. On Tuesdays and Wednesdays, head to the cooking school and restaurant, helmed by former Rockpool Head Chef, Katrina Ryan, for impressive Asian fare for less. Choose one item from their small bites menu and one from the medium bites menu, and pair it with a wine or beer for just $35! 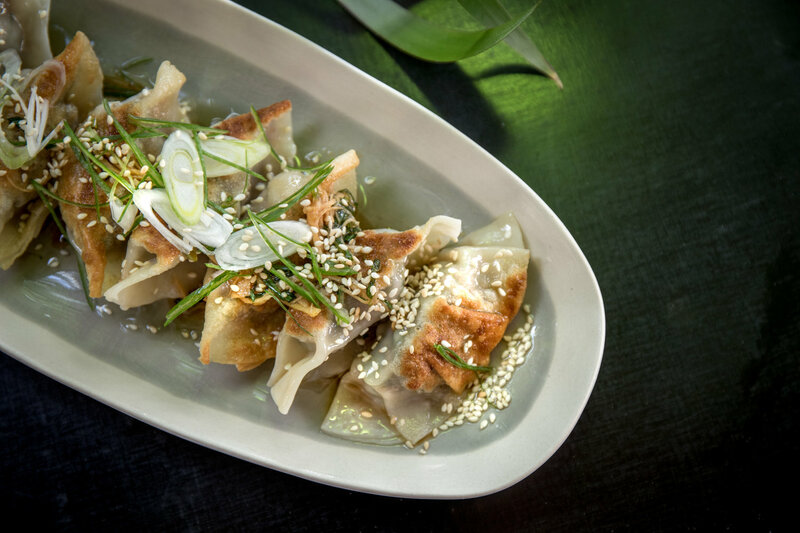 The small bites are nothing to oink at, with options including bao with twice-cooked master stock pork, yuzu mayo, chilli caramel, and apple, scallops with miso butter and perilla, and cashew and shiitake mushroom dumplings with ginger and shallot sauce. The medium bites keep the good times and flavours coming, featuring dishes like a rare beef salad with pomelo, peanuts, and ground roasted rice, crispy fried Szechuan chicken with chilli tamarind sauce, and spicy marinated lamb ribs with eggplant relish. Choose a bev from the unreal selection of Aussie wines and beers (their beer collection has been labelled one of the best in town), with a few international classics thrown in for good measure. If you’re not quite done after your $35 feed, round out the night with a cocktail from the impressive list of Asian-inspired classics, like a cumquat gin and tonic or nashi pear cooler with lime, coriander, and cucumber flavours, and settle in with a deep-fried banana ice cream with salty caramel sauce. 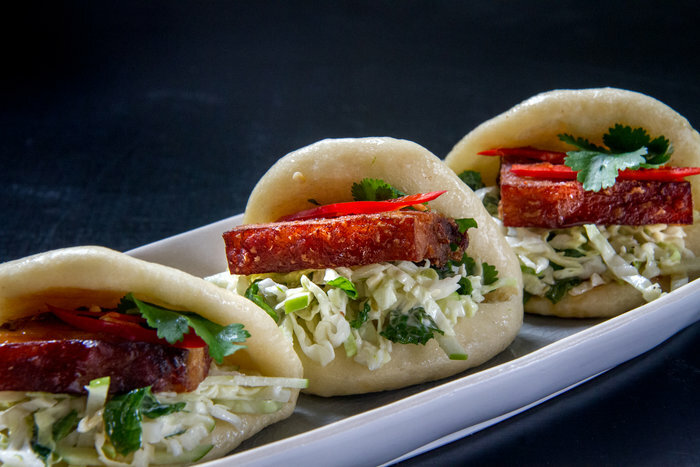 As if Golden Pig’s fab food and drinks weren’t tempting enough, their $35 mid-week special is the perfect way to liven up a Tuesday or Wednesday evening! Who said happy hour had to be only an hour long?